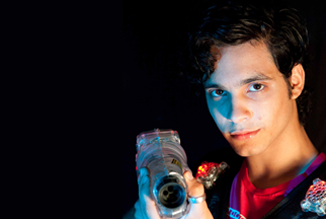 ‘Set phasers to stun’ was a phrase commonly heard in Star Trek shows. 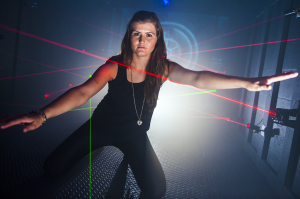 At Lazer Planet in ScotKart, Clydebank, the lasers are set to fun and the huge, state of the art arena is stunning. 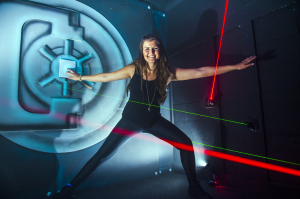 Rated a 4 star Activity Centre by VisitScotland, Glasgow’s leading multi-level laser tag arena is the ultimate arena for laser tag games in Glasgow. Designed over multiple levels, it poses a serious strategic challenge – ramps, corners, hidden spots, twisted corridors all offer cover and allow you to sneak up on your opponents. Custom artwork inside the arena, pumping music, illuminated vests and the coloured lasers from the phasers all make for a unique and truly awesome laser battle experience. 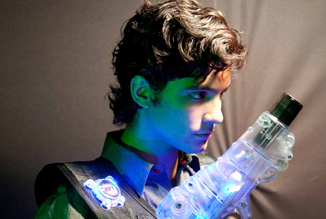 Laser tag is very similar to paintball, but played with a laser gun or phaser and a vest with sensors. 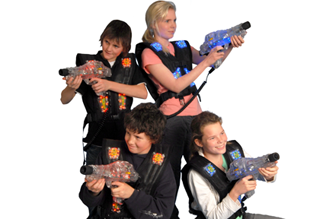 There is no paint to muck up your clothes; being hit by the laser beams isn’t harmful and, unlike paintball, there is no chance of it hurting. 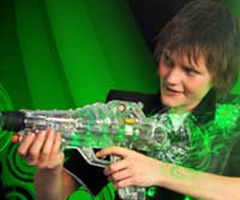 Laser tag games are fast, exciting, challenging and fun entertainment for players of all ages and experience. It is absolutely safe and perfectly suited for kids, but it is still challenging and exciting enough to be great entertainment for adults as well. 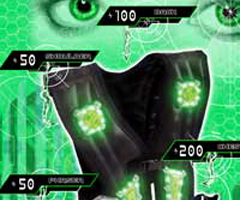 Depending on the chosen mission, the objectives of the game can be quite different. There might be two teams playing against each other to control the arena or you could play as a solo fighter and try to eliminate as many opponents as possible. 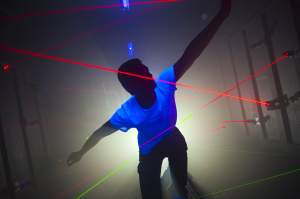 In between games try your hand in the video arcade, or try and break the Lazer Vault. Imagine you are Tom Cruise trying to dodge the laser beams protecting the vault. 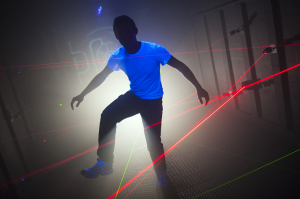 Race your mates to complete the maze as fast as possible – without receiving penalty points when you touch a beam! Lazer Planet is housed within ScotKart Indoor Kart Racing in Clydebank – one of the largest indoor karting circuits in the U.K. 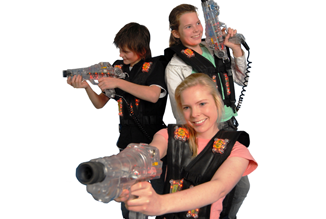 There are karts available for both adults and kids aged 8+, so you can enjoy a great day out with racing and laser tag in one brilliant venue. 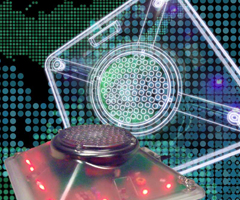 The latest incredibly accurate hi-tech equipment from Zone in Australia. Lightweight, adjustable vests, with sensors that register hits. 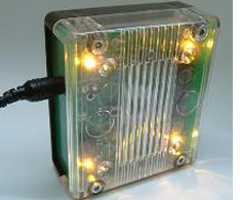 Try the 3 levels – Easy, Medium and Hard to see if you have what it takes to be a master safe cracker! Only £2 per run.